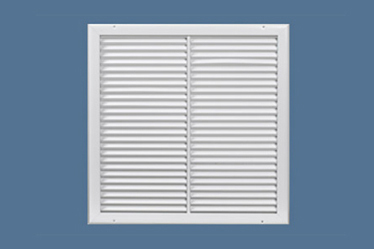 Constructed from 6063 extruded aluminum - available with 1/2", 3/4", or 1" slot width which offers excellent static pressure, throw and sound characteristics. 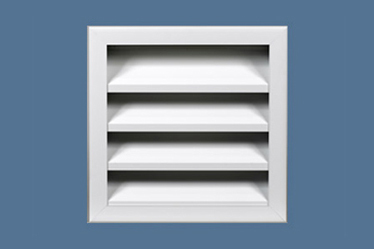 Superior performance enables the use of a smaller unit to handle more air within acceptable performance ranges. 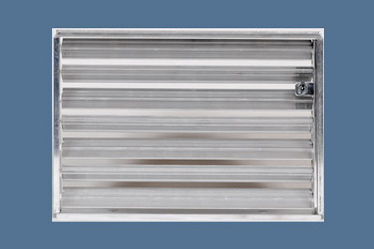 Totally removable pattern control device will allow access for installation and balancing with the option of choosing the black extruded aluminum pattern control device that allows 100 percent pattern adjustment and volume control in the same unit. 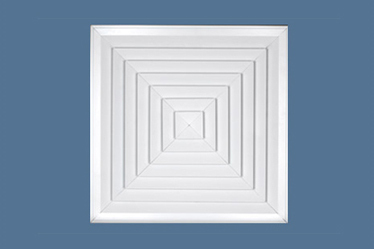 Design flexibility is achieved by offering seventeen different mounting styles, multi-degree mitered sections and up to twelve slots in width. 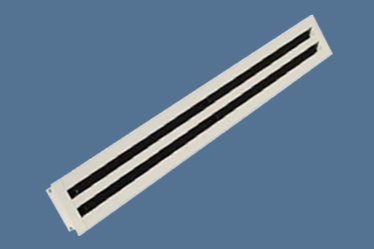 Continuous runs are achieved by using factory furnished alignment strips and hair-line butts. 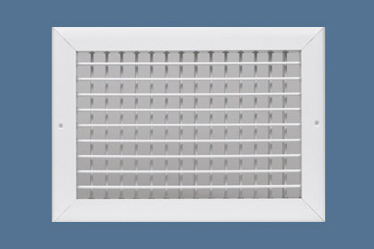 Factory multi-option plenums are available. Available in clear anodized, white or a variety of custom painted colors. All interiors are black as standard. An optional mill finish aluminum opposed blade damper mounts through a series of spring clips, and is screwdriver operated through the face of the grille. The damper frame is separated from the blades with nylon bushings. 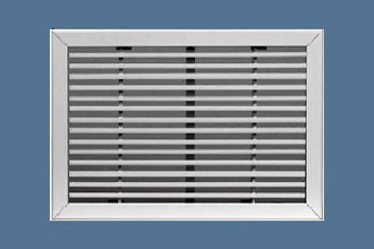 Other accessories include aluminum equalizing grid with individually adjustable air foil blades separated from the frame with nylon bushings. Available in clear anodized, white or a variety of custom painted colors.